I do believe its spring! Spring is definitely here and its utterly gorgeous.I hope you all had a lovely Easter, and have recovered from the chocolate indulgence. I received a beautiful Easter egg from my mum (Marks and Spencers, a big thumbs up to you!) and literally was close to tears when i found it had melted in the sun after opening my bedroom curtains. Obviously there are worse things that can happen, but there is something about a melted Easter egg that seems very traumatic. I refrained from spooning out the melted mess there and then, i do have some pride you know! However I still plan to eat, the now refrigerated lump of white chocolate. And what have I learnt from this melted egg incident? Well firstly that melted white chocolate looks amazing, secondly that spring is definitely here. By the very fact that my egg (and it was large) managed to melt into a molten mess in the temperamental spring sunlight definitely means spring is here. Dont you think? However all this talk of the sun is giving off a rather unrealistic image of spring in England. Currently the April showers are making everyday a bad hair day, but I cant help but get excited about the coming warmer months. My tea dresses are coming out along with the sun hats! (talking of which I need a new one so I will be sussing out some vintage style sun hats in the coming weeks) But for the next few days I will be posting up a few images which are inspired by spring, so keep an eye out 🙂 and I hope I can inspire you vintage spring style! 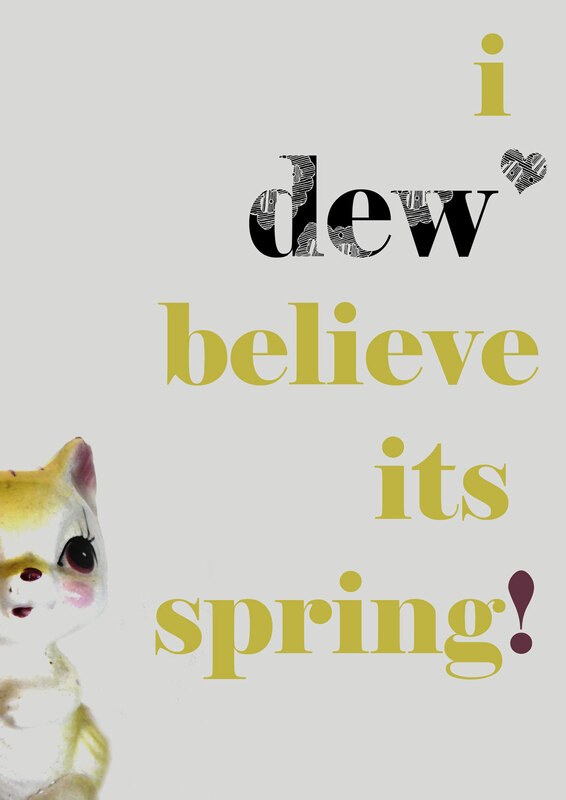 Find some more Dewvintage on facebook too! Like what i like? recive email updates! A vintage find: 1929 Savoy Theatre Programme, art deco fashion and lovliness! My first sewing project in possibly years?!! A cute vintage collar, made from 1950’s cotton fabric! A pre-Mothers day treat, at the wonderful and inspiring Pop-Up Vintage in Hassocks! A vintage treat for mum on mothers day!